Although the government of Uzbekistan has made progress on ending child and adult forced labor in the cotton fields after more than a decade of international pressure, a new report finds that forced labor remains rampant in other arenas of Uzbek life, affecting public-sector workers in particular. This practice undermines the quality of public services and depletes workers’ earnings, as they must bear the costs of their own forced labor. The report, “There Is No Work We Haven’t Done: Forced Labor of Public-Sector Employees in Uzbekistan,” released today by the Solidarity Center and Uzbek-German Forum for Human Rights (UGF), outlines the devastating toll forced labor has on workers and essential public services, particularly in health care and education, where trained specialists are taken out of work for hours, days or even weeks to perform manual labor at the whim of officials. Last March, 23-year-old teacher Diana Enikeeva was struck and killed by a truck while she and other teachers were cleaning the highway in the Samarkand region in preparation for a visit by Uzbek President Shavkat Mirziyoyev. According to the report, although Enikeeva’s death raised a public outcry in popular and social media, prompting the president to order officials to stop using public-sector employees and students for “public” work such as street cleaning in May 2018, the work was not out of the ordinary for public-sector employees, including teachers, and did not stop. Interviews conducted by a team of UGF monitors in nine regions in Uzbekistan over two months in spring 2018 with public employees and others affected by forced labor revealed that government officials were using public-sector employees under threat of penalty as a constant source of labor and funds to fulfill local needs or centrally imposed mandates. Some workers reported that their unions—which are weak and subordinate to government and/or employers—sometimes assisted in organizing or directing their forced labor. 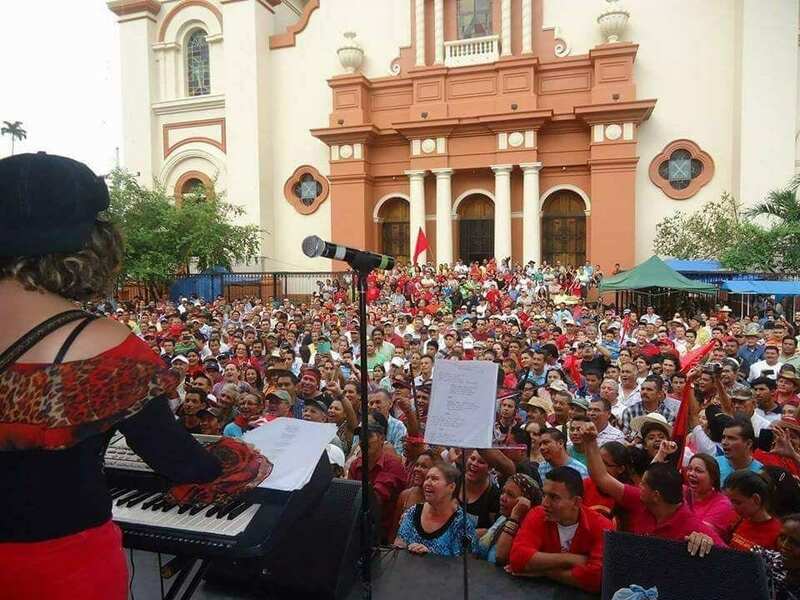 Public-sector workers, among the lowest-paid professionals in the country, reported that they were forced to provide manual labor for community maintenance and beautification, street cleaning, wheat harvesting and collection of scrap metal and paper. Teachers, health care workers and employees of state agencies said they were routinely sent to clean streets, plant flowers, do construction work, dredge ditches and perform public maintenance for hours or days every week, without extra pay. 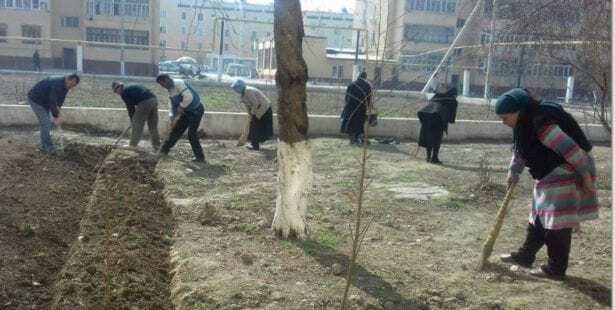 Under the community maintenance program “Obod Kishlok” [Well-Maintained Village], announced by the president in March 2018, local officials forced public employees to bear full responsibility for repairing, painting and gardening, even at private houses. Workers reported often paying for costs associated with forced labor, including for food and transportation to forced labor assignments as well as for construction supplies, tools and flowers and seedlings for planting. Several children and farmers also reported that children and teachers were taken out of class to harvest silk cocoons under threat of penalty. “Given that forced labor continues in Uzbekistan, even after the president and some other government officials have publicly condemned it, authorities must urgently and immediately address the systemic root causes of forced labor—the lack of independent and representative labor unions, absence of effective complaint and accountability mechanisms, rampant corruption, lack of accountability of local authorities, centrally imposed mandates and a punitive and exploitative agricultural system,” said Abby McGill, senior program officer for Eastern Europe and Central Asia at the Solidarity Center. Read the report in Russian and Uzbek.